The lowest price of EleksMaker® EleksLaser-A3 Pro 5500mW Laser Engraving Machine CNC Laser Printer was obtained on 10 February 2019 2 h 05 min. EleksMaker is a Chinese specializing in XY tables and mini CNC milling machines based on ATmega microcontrollers (Arduino compatible). To discover the brand, the official page is here. Two models (dimensions) are available. The A5 model has an engraving surface of 200 x 130 mm. The A3 model has a surface area of 300 x 400 mm engraving. 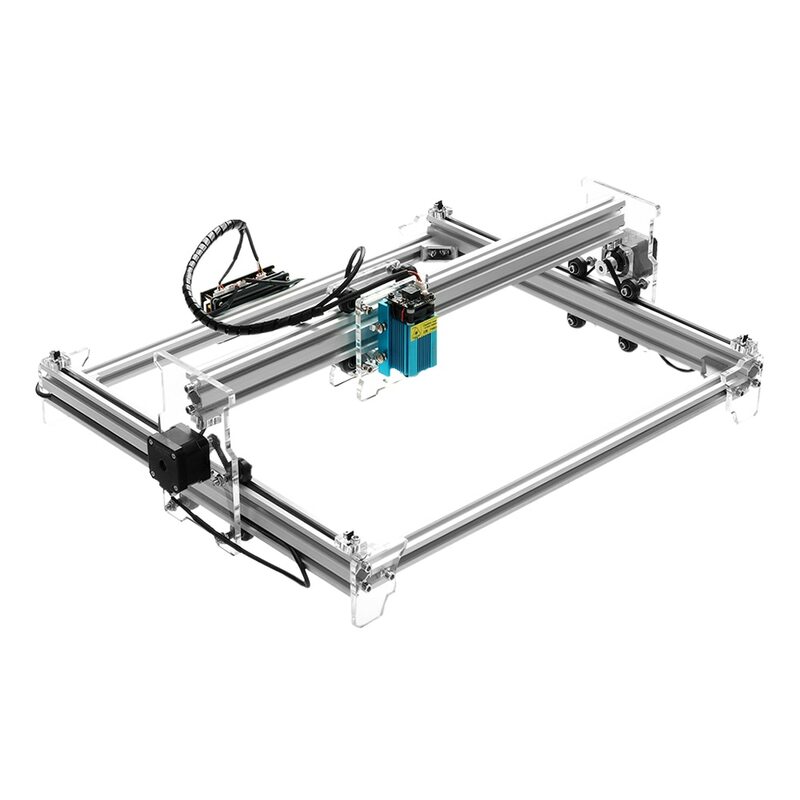 You can buy the EleksMaker table alone in A5 or A3 format or with a laser module. Four powers are available: 500mW, 1600mW, 2500mW and 5500mW. Laser sources can also be purchased separately in the event of a breakdown (or wear). Follow the link to the desired power 1600mW, 2500mW, 5500mW or 7000mW. The following table summarises the various models. It is also possible to buy the EleksMaker table without laser module in the A5 or A3 dimension. Laser engraving is not an innocuous activity. There may be risks with some materials. The Swiss University of Geneva listed on this page several materials to prohibit in laser engraving. they are essentially polymeric materials that can melt or burn (ABS, EPS, EPP, PE-HD, PC) or release harmful gases (PVC, synthetic leather, fiberglass, carbon fiber, PTFE) or carcinogenic (MDF) . (*) Indicative information in the current state of knowledge of the toxicity of materials in November 2017. Please observe the safety instructions of the manufacturers.